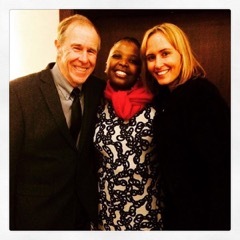 “It’s been a year since Prof Tim Noakes and I hosted the Old Mutual Health Convention in Cape Town. To say the event was one of the highlights of my life would be pretty accurate. Not only was it a highlight but also a turning point, and not just for me personally but also for many who have been fighting the LCHF battle for decades. Seventeen international LCHF experts converged on Cape Town during that time. Many travelled at their own expense to speak at an event that will no doubt be remembered for many years to come. They came to support a man who they value and respect, not only as an A-1 rated scientist, internationally renown Sport Scientist and bestselling author. They came because Prof Noakes is a man of integrity, whose smile lights up any room and whose heart beares the courage of a lion. They came to support Prof Noakes who had single-handedly (with the support and love of his family) started a nutrition revolution in South Africa. The conference was at the time the greatest gathering of international LCHF experts under one roof and speaker Dr Stephen Phinney described the event beautifully when he said: “It felt like we had finally come home”. People ask me why I organised the convention and the truth is that I was incredibly angry at the way Prof Noakes and his family had been treated by his peers at the UCT Centenary Debate and later in a letter to The Cape Times. I witnessed his depression and the devastating effect it has had on his family. It’s easy to spot Prof’s big smile and open heart but not many know the courage it takes to stand up in front of the world and say: “I was wrong” to be faced by backlash and ridicule from those who have always supported you. I’ve had the honour of collaborating with Prof Noakes since 2012 and in that time Prof has become so much more than just a friend and mentor. You see, Prof Noakes reminds me so much of my brilliant grandpa Prof Christiaan Barnard. I’m not saying he is like him in any way but for me he fills the void of what I imagine my grandpa would have. My grandpa was fearless and forthright but most importantly he stood in his truth and fought for what was right despite the backlash and ridicule. He was a visionary of change, a revolutionary and in that regard Prof Noakes is exactly the same. Prof Noakes took me under his wing (he had very little choice as I can be pretty stubborn and persistent). He mentored me and guided me but more than that he gave me one of the greatest gift any person could ever receive. He believed in me until I was able to believe in myself. For someone who has always felt like an outcast, a reject and a bit of a misfit this truly meant the world. In my book, Sugar Free, I wrote: “Prof Noakes’s belief in me has allowed me to climb mountains” and it truly has because he gave me hope where previously I had none. And that is what Prof Noakes’s nutrition revolution is about. It’s not just about the Banting diet, losing weight or improving health… it’s about giving people hope where previously they had none. There is NO greater gift than the gift of hope. To realise that there is a solution to a problem we were told had no solution. Prof Noakes has created a space for us where we feel that we “have finally come home”. I will keep fighting for Prof Noakes, for myself and every life he has changed and will keep changing. My friend Rita Fernandes Venter has a Facebook group of over 150 000 people whose lives have been touched by Prof. This court case represents so much more than meets the eye. Prof Noakes didn’t have to fight this, he chose this battle not because he needs to prove that he is right or to keep his medical license. No…. Prof Noakes has chosen to fight for our lives. I’ve got your back Prof, Always have and always will.